IT’S Christmas Eve, a time when families gather together to celebrate and children volunteer to go to bed early to speed Santa’s arrival. 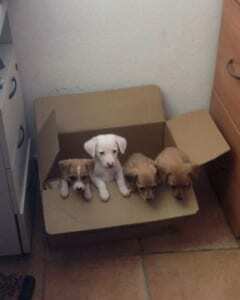 But not everyone is tucked up snug and warm in a loving home. At Estepona’s Adana Dog Shelter, an early ‘present’ (of sorts) has just arrived. 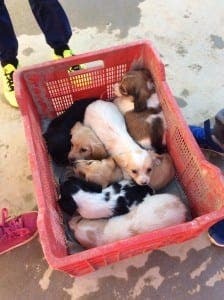 Seven puppies squashed into a plastic crate. The volunteers are instantly won over by the adorable pups who are fed, watered and checked over by the vet in preparation for their first night at the centre. 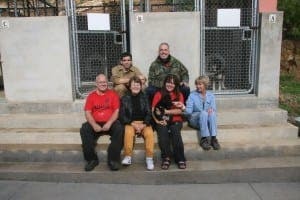 While the little mutts bring a smile to the faces of the volunteers, they are a poignant reminder of the literally thousands of homeless animals in need across Spain. “Every dog deserves a good home,” Adana president Mary Page tells me. 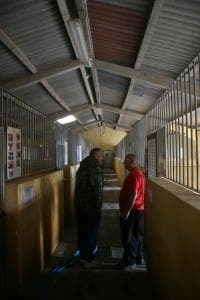 “It is frightening to see so many dogs abandoned and we are just doing our bit to put that right. Mary, a former labour politician in the UK, has been at the helm of Adana since the board was reshuffled in July, promoting her from Vice President, and she relies completely on the team around her. “We have some amazing people here,” she says. “From our treasurer Reg WInkworth who is a trained builder and takes care of all the maintenance work, to our on site vet Frederica Dorma, we are one family. 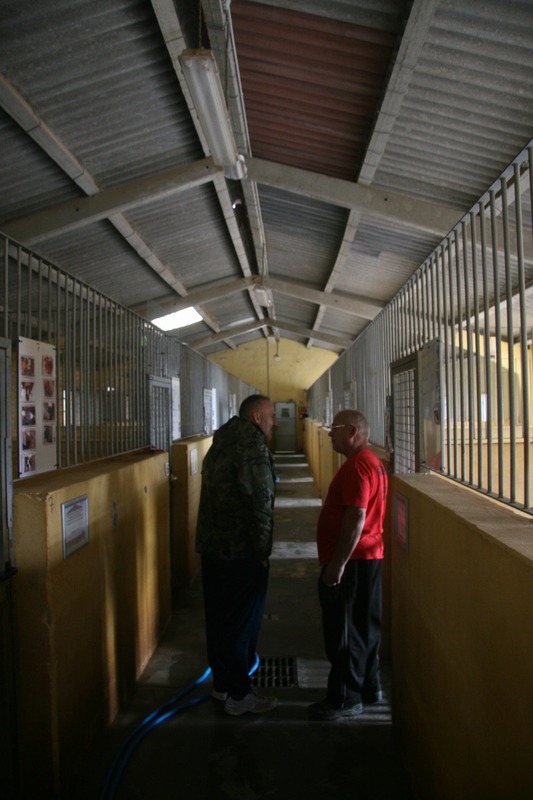 Founded 25 years ago by expat Sonia Longman, Adana has established itself as one of the best kennels on the coast. But there are – unfortunately – some which give the hard-working, honest centres a bad name. “There are a few places that really do tarnish the work we do,” says Mary. “The likes of Kim Halliwell, who used to operate in Mijas, make collecting donations terribly difficult for us. And while Adana can home between 150-250 dogs, there is still a problem with abandoned pets across the country. It’s a sentiment that the president of the country’s animal rights political party, PACMA, wholeheartedly agrees with. The Spanish psyche needs to adjust before we see the number of animal cruelty and abandonment cases go down,” Sylvia Barquero tells the Olive Press. “There are 3,000 festivals across Spain which revolve around treating animals with cruelty and even killing them. She adds: “Since 2009, European Union member states have been obliged to consider animals as ‘sentient beings’ in their national legislation, according to Article 13 of the Lisbon Treaty, and that has helped. Securing 220,000 votes in the latest election was not enough to give PACMA its first parliamentary seat but it did represent a shift in mindset. Hopefully that new mindfulness can be put to use to support hardworking animal shelters like Adana.